When thinking of the Tiffany & Co. brand, despite producing them since 1847, watches may not be the first thing that comes to mind. Throughout the nineteenth century, Tiffany manufactured and sold pocket watches and developed a reputation for innovation in technology and design. The company excelled in the design of lady’s cocktail watches in the 1920s and 1930s, using smaller movements they created dainty timepieces set with diamonds and precious coloured gems. In recent years the brand has produced watches for everyday wear that have proved very popular and that are rare to the auction market. The Resonator is one of these, only three have been sold by UK auctioneers in the last five years. 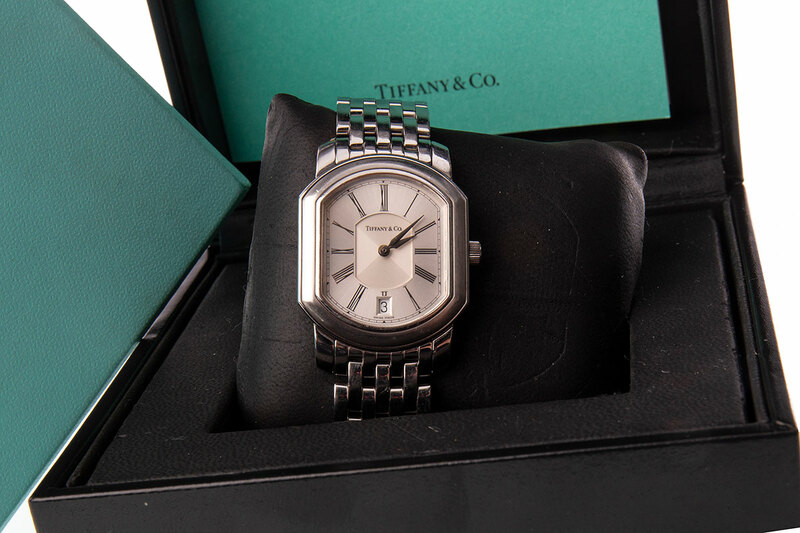 McTear’s is pleased to present one such watch in The Watches Auction on 18 December. This stainless steel example is on a bracelet strap and comes with papers and boxes. Estimated at £500–800, lot 758 could just make the perfect Christmas gift.